This is first of the two-part series on application of conversational AI within the banking industry. Enhanced customer experience remains the primary differentiating factor for the success and growth of any bank. Banks that have managed to deliver an outstanding digital experience are the ones that leveraged technology in the right manner and achieved customer stickiness – an essential element in fostering loyalty among their current client bases that leads to the much-coveted competitive advantage. Great customer experience stories aren’t just flukes – they are outcomes of a sustained, proactive and innovative engagement to create forward-thinking solutions. How you achieve that is the hard part though. Who doesn’t yearn to land in a situation where customers simply admire you for the outstanding products or services you deliver? In fact, in a recent poll Gartner found that while 81 per cent of executives believe they’ll compete based on customer experience alone, but only 22 per cent think they have what it takes to exceed customer expectations. So what separates the most powerful customer experiences from the rest? Gartner defines it in the framework of a pyramid. 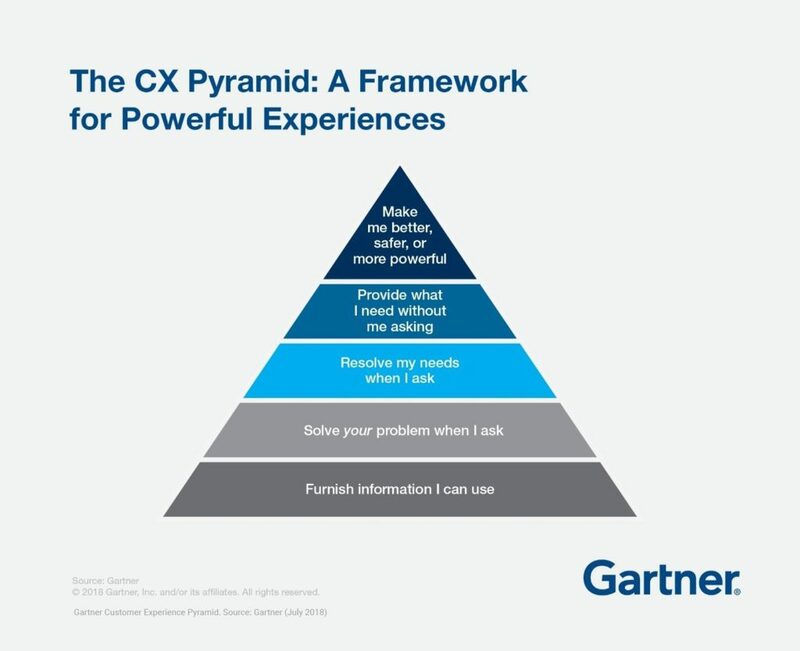 The Gartner CX Pyramid is a way of looking at the relationships an organization’s brand forges with their customers at each level, from bottom to top, based on the way CX leaders listen to, understand, act on and solve customer needs. Overall, banks have fared well when it comes to anticipating customer preferences, and have constantly evolved to meet these changing needs through use of progressive technology. It started with self-service banking through ATMs. Then came computing based banking operations, which vastly improved productivity and customer service. Phone banking arrived later providing customers a new feel of doing business with banks. By early 1990s, personal computer and Internet changed the world. Digital banking had firmly taken root by 2000s helping advance the cause of improving customer experience to a great extent. For most customers, accessing financial information has became so convenient through websites and apps powered by online and mobile banking platforms that modern consumers rarely need to visit brick and mortar branches. They accomplish most of their tasks – be it paying bills, transferring money, making deposits, checking account balances and the like – on the go at the push of a button. While digital technologies have enabled more personalized engagement, allowing customers to engage in seamless banking across channels, it has also raised customers’ expectations. True, customers can access financial data quickly and easily, but they were missing something exclusive that old school banking provides – a personal client-teller relationship that keeps them connected to banks. Especially, when it comes to traditional activities such as making a budget, setting and achieving financial goals, paying off debt or saving for retirement, you need expert advice that traditional banking provided, and digital banking channels, despite being fast and convenient, lacked. It is this need that conversational banking is filling. Conversational banking relies on voice- and text-based chat interfaces to provide financial information to customers. This is different from mobile banking apps that require users to search for information in graphical user interfaces (GUIs). Powered by recent advances in artificial intelligence (AI), machine learning (ML), natural language processing (NLP), conversational interfaces including chatbots or intelligent virtual assistants that are programmed to ask and answer customer queries in familiar, conversational language. 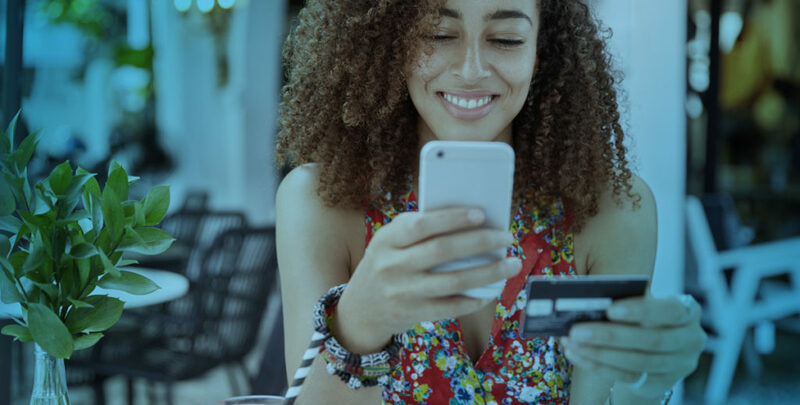 For customers, this two-way interaction provides a more intuitive experience that lets them get fast answers related to their financial dealings as easily as messaging a friend. Banking based on conversational interfaces will rule the roost for foreseeable feature. 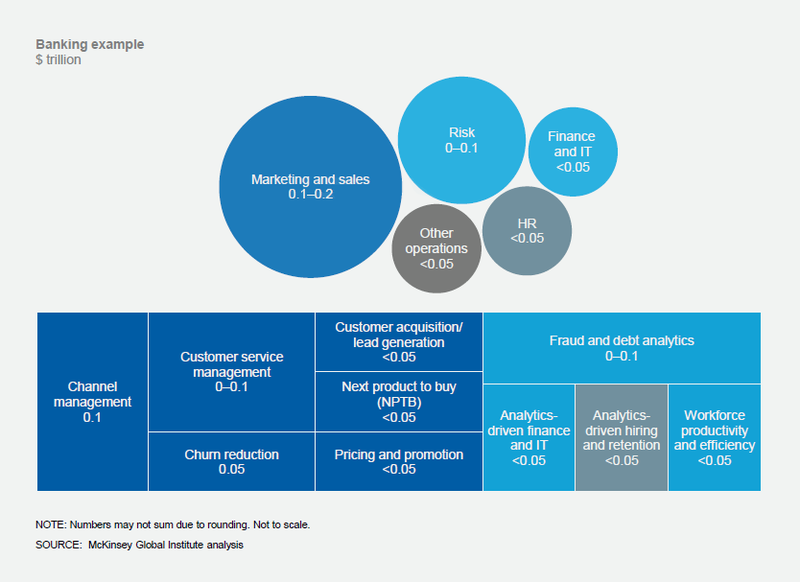 A recent McKinsey study found that financial services will have the most pervasive application in the years ahead. 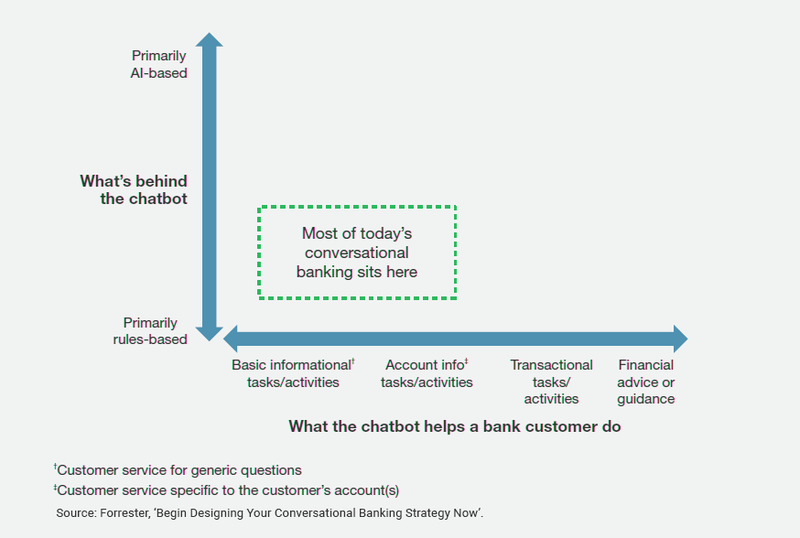 In banking, conversational AI has high potential in marketing and sales. Another area could be risk where incorporating AI into underwriting models could allow banks to underwrite entirely new types of customers, such as the unbanked or semi-banked, and capture significant value through improved fraud detection. Here are a few trends that we see will drive the growth of conversational systems. AI will be the primary driver of customer experience. We can expect most banks adopt and utilizing conversational interfaces by combining all three – AI, chatbots and social messaging platforms. This strategy caters to a new generation of customers who expect more and want things to be done fast. 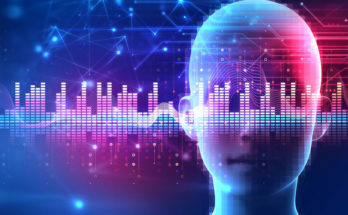 The combination of Internet of Things (IoT), 5G and pervasive social media forebodes a new hyper-connectedness of real-time experience and instantaneous responsive systems. Banks need to have it both ways – by automating and personalizing their responses while at the same time bringing whole new level of convenience to consumers. Banks will move towards technologies like smart speakers, digital signage, and wearable devices to provide unique opportunities to surprise and delight consumers with AI-enabled experiences. Voice will come of age. Voice assistant technology is showing strong rates of adoption. Voice assistants offer a hands-free conversational channel, providing quick and easy access compared to paying attention to screen visuals and manually typing into a phone. Its raising popularity is gauged by recent Google announcement in January 2019, reporting that over one billion devices now support its voice technology. A large group of respondents in a survey in the US use voice assistants such as Siri, Alexa or Google Assistant on their smartphones or Alexa or Google Home at home About 5% of respondents in Australia, the UK and the US already using voice assistants for banking; between one-fifth and one-quarter are open to trying the technology for their banking in the future. Already, Santander in the UK and Capital One in the US have launched functions using Alexa Skill, which make it easy for customers to access their bank accounts through simple voice commands.  Enhanced and accelerated digital footprint. Rapid adoption of websites and mobile apps will continue but most banks will explore multiple channel options to meet raising customer expectations. Customers now want to use a mix of touchpoints for customer service; they expect near-immediate resolution of issues; and, in the future, they will expect more conversational interactions with their bank. Already, more than three in 10 US online adults say they’ve used a “virtual agent” (VA) or “chatbot” for customer service in the past 12 months, either on a smartphone or a website. In the UK, only 45% of respondents said their primary bank’s website lets them do everything they need, or is easy to use. Conversational interfaces offer a consistent experience across various channels unlike mobile apps that vary greatly in look and feel, each featuring their own distinct style of menu and method of navigation. In addition, conversational interfaces do not require installation, and can be configured to work with most platforms, such as Facebook Messenger, by the provider, enabling the customer to immediately connect with the service. Bypassing installation also saves the customer from any additional time spent on frequent app update installations, as well as precious memory space on their mobile device. Increased thrust on bot maturity and advanced natural language understanding. Increased prevalence of chatbots or conversational interfaces doesn’t necessarily translate into better experiences for customers. 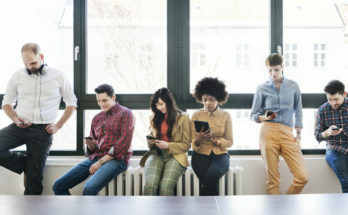 A research that tracked customer satisfaction levels reveled that among 16 different customer service interfaces, users of mobile and online chatbots gave these the fourth- and third-lowest satisfaction ratings, respectively. That’s because the technology behind conversational interfaces is still evolving and most of today’s chatbots can’t support open-ended natural-language conversations. We will see a wider range of solutions to develop chatbots with the evolution of AI technologies like natural language understanding (NLU), natural language processing (NLP), and natural language generation; a growing pool of AI experts to teach machines and design the next generation of natural language interfaces; and time for systems to accumulate data, scale, and learn. To develop complex bots that serve a lots of customers, argues veteran AI programming expert Bruce Wilcox in this article, a bot platform, a place that supports building bots and hosts lots of different people’s bots is more appropriate and valuable. 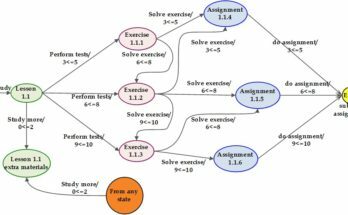 Rather than living the limitations of a purely machine learning (ML) based NLU, Bruce bats for open-source alternatives like ChatScript that powers Kore.ai’s platform, which he created for handling natural language at the cost of a steep learning curve for training programmers. Automate business processes. Besides providing speedy responses, chatbots have been proven to be an amazing virtual assistant for businesses. They help to deliver information to customers when no human agents are available. For large banks, it is extremely costly and cumbersome to manually respond to customer queries at such a grand scale without AI assistance. Chatbots are being drafted in to support and sometimes even replace customer service teams. Enterprise chatbot platforms like Kore.ai’s allow business users to create their own chatbots with little technical expertise. Such chatbot builders come with user-friendly interfaces and pre-built templates and are powered by AI and machine learning technologies to help banks deliver the most appropriate responses based on the understanding of user intent and emotion. Hyper personalized experiences. Consumers have now become used to businesses reaching out to them in personal ways. Customers love it when they get what they want without having to say a word. Chat-based services can provide proactive reminders and suggestion to users through push notifications. Similar functions have yet to be made widely available through voice interfaces. A consumer-facing bot would initiate a conversation with a user, based on her context. While browsing the website, if the consumer clicks on a URL for home loans, ‘event’ of clicking on that URL is the ‘trigger’ that invokes the bot to talk to the user. (Also read the blog, Kore.ai BOT Builder v6.4). Eventually, the business benefits of a conversational system will depend on its market relevance and effectiveness in building a business use case for it. What we know for sure is that the number of such systems will only continue to proliferate in 2019, and will be pivotal for the further expansion of customer experience. Previous Article Interview with Mr. Jalem Raj Rohit, Data Scientist at GEP Worldwide.